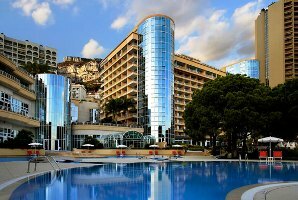 Le Méridien Beach Plaza in Monaco has relaunched its Sea Club Conference Centre following a major renovation in a bid to attract more international and local event business. The venue has remodelled 14 of its meeting rooms and installed unlimited wi-fi throughout the hotel, ground and conference centre. The meeting rooms, the majority of which boast an outlook of the Mediterranean Sea, are collectively able to host 2,000 delegates, with the Mediterranée and Atlantique each capable of seating 500 people theatre-style. Designed by French designer Tristan Auer, the rooms have been decorated in Le Méridien’s signature black, white and grey. The conference centre's palette also incorporates bright blue. Three themed 'creative' meeting rooms, one of which is based on the F1 Monaco Grand Prix, have been equipped with blackboards, pivoting boards and whiteboards. Michel Cottray, Le Méridien's area manager, South of France and Monaco, said: "Le Méridien Beach Plaza has always been popular for business. "We’re confident that the 14 remodelled conference spaces will make us the first choice for open-minded business people ready to discover a new perspective on the more creative aspects of what they do."